If you love boots or footwear in general then you must bookmark this site – Yoox. They have some of the coolest, unique boots that you won’t easily find on other sites. 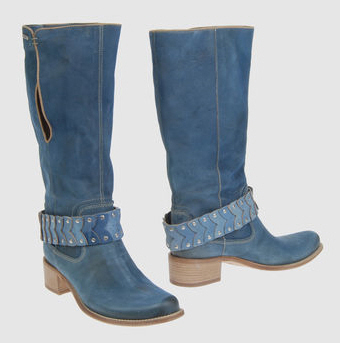 These denim-like Vic Matie’ boots are one of many hot boots. Definitely a golden site along with an endless selection of apparel & accessories too!